Y'all, I have the best sponsors. Seriously, the shop owners & bloggers that I work with are amazing women & I am beyond blessed to call them friends. Not to toot my own horn, but I don't just take any old person that comes by & wants to sponsor Here&Now. The ads that I feature in my side bar & in highlighted posts are handpicked, representing only the best of the best that I can't wait to share with you! And you know what, my sponsors love you too! Lisa Leonard Designs - her gorgeous products are hand cut, hammered, polished, drilled & assembled by hand, with LOVE! Yuni Kelley Designs is the jewelry your collection is begging you for! Here&Now readers enjoy 20% off with code "HERENOW"
The Posh'mina - AKA the ultimate scarf, for all seasons. Cat & Bot Jewelry - sleek, minimalistic, packs a punch! Bare Blazers are made in year-round weight fabrics so your favorite blazer is now a everyday option! 15% discount with promo code "JESS15BARE"
Gemmy Junky for that extra fun pop of color in your outfits! 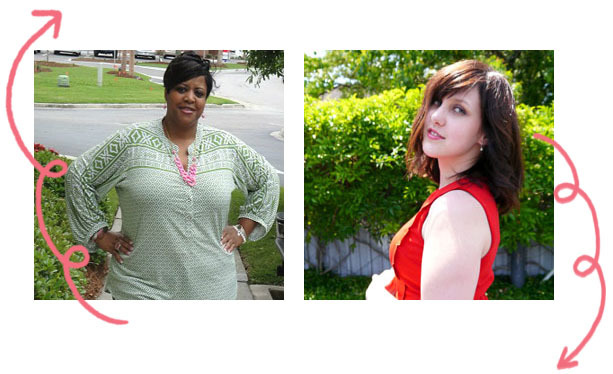 And now (drum roll please) two new blogs to add to your blog roll favorites! Robin Charmagne is an Atlanta Georgia blogger that loves finding pretty things in fashion & home décor & shares her classically trendy outfits! Robin is giving away a fabulous necklace + earring set! Shop & Twirl is the blogging passion of Miranda, a Houston Texas resident that loves sharing her shopping spoils & everyday outfits. Another fab budgeting blogger who stretches her funds to always look "feminine & twirly with touches of edge and sass"
Thanks for the awesome links and giveaway! Thanks for having me as a sponsor! And yay for all those discount codes, it's time to do some online shopping! Such a lovely roundup friend! !